There are many different lists that you will and probably have come across online concerning all things prepping and survival. These lists are always a great place to start. You will, however, find that as you get more experienced and knowledgeable about your gear and your particular environment your list will most likely become different than that of many others. Your list will also change depending upon your weaknesses and strengths. In an emergency you just grab and go. The most valuable purpose for the kit is as a training tool. 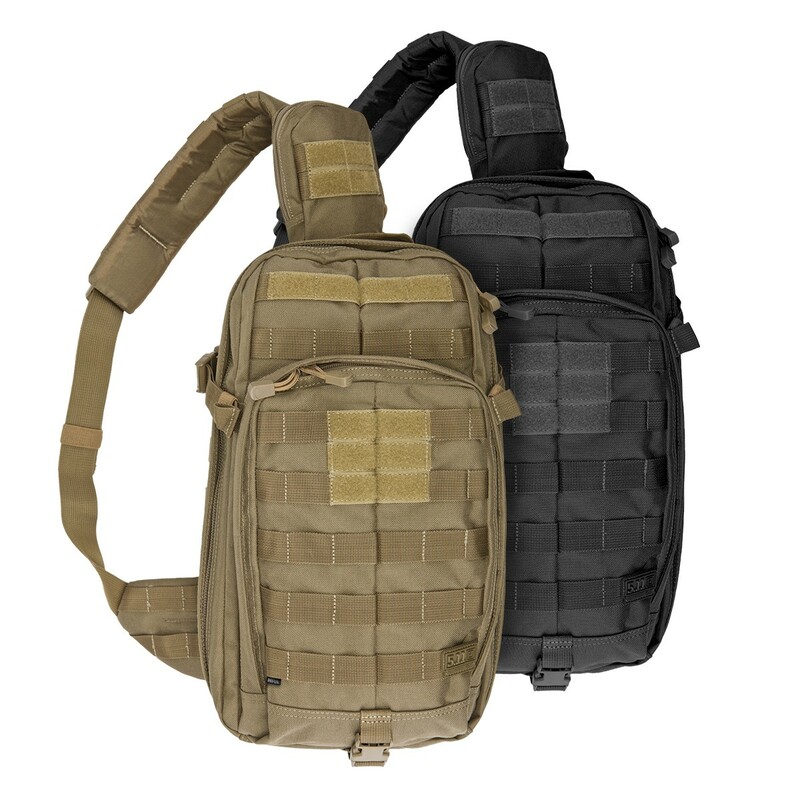 The pack should have many pockets and should be double the size of the the stuff you put into it. One of your biggest requirements of the pack will be to carry things that you gather along the way. You need storage space in your pack. The total amount on things you have in your pack should only take up about half of the total space in your pack. 1- Fire kit- Fire is one of your best shelters and all-around survival tools. The kit should contain matches, lighter and/or a fire strike. Should be in a protective case. Should be tiny. Could even be just 2 lighters. Whatever is in it, you should be well versed in how to use it. 2- Razor knife and blades- This might be a surprise to a lot of people. When you break down the chores that you need a knife for, they are centered around creating tool and things that you can make from nature. You don't need a knife for a shelter. You don't need a knife for fire. What you do need a knife for is to eat. You need trap parts. You need a digging stick. What you need is a knife that can make precise cuts. I like the nebo brand. Cost, less than $10. 3- Water filter- needs to be a pump, not the straws, preferably with a ceramic filter. These you can maintain on the trail. 4- First aid kit- this doesn't have to be a massive kit. It should be able to fit into container about the size of an index card. This needs to contain any medications that you or your family members may need. 5- Solar charger- this is to keep you in contact with the outside world as well as get you rescued if the need arises. 6- Small jar of peanut butter- this is excellent emergency food source as well as awesome bait that will bring in anything to your trap. 7- Wire snares- you can make these yourself. All you need is 6, 4' lengths of steel cable less than 1/8". A flat piece of metal bent at a 90 degree angle as a lock that has two holes at the ends. And some metal to crimp on to the ends of the cable. 8- A piece of plastic- or a tarp of your choice. This is for instant shelter until something more permanent can be made. As well as water collection and wind protection. Clear can be exceptionally useful for water collection and purification. 9- Pot/wok- it sounds lame but it is invaluable. 10- Cooking kit- the basic elements of the kit should contain a small bottle each of salt, oil and sugar. 11- Saw- this is a long term survival tool. This is designed for permanent shelter construction as well as convenience in fire wood. The saw that I prefer is the Irwin universal handsaw. Cost around $15. 12- Fishing kit- Most survival fishing kits are a waste of time. What you need to do before you ever build a survival fishing kit is to become an awesome fisherman. What you need in you kit are items that will actually work. This takes a lot of time and practice. So when your wife says, why are you fishing all the time?, you can say DAN said it's ok.
13- Paracord- 50' is enough. 14- Machete- it is the go to tool for a million different tasks. Make it a good one because it will get the most use. 15- Gun- a .22 pistol can provide consistent meals. 16- Hammer/hatchet- this is a vital tool for getting into things, especially in an urban environment. 17- Chisel- this is for long term survival when constructing a permanent shelter. To build up a good jump kit start with the pack, Miltek make some affordable and good quality products, about $39. Then just go down the list one by one, starting with number 1 and you will soon have everything you need! Prepared Guy's top 10 list. A. The right clothing for the environment. B. The mindset/attitude for a survival situation. C. The knowledge that comes with study and experience. The bag is just about the most important part. A quality pack about the size of a typical day pack is just the right size. I love this pack. It's spendy but it won't let you down. 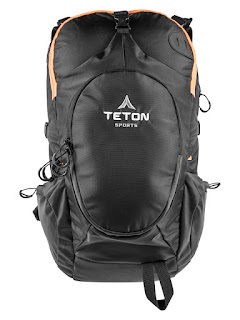 The Teton Sports Rock 1800 would also be a good, more affordable option. I'll have a review of this pack up next week. Although I prefer simplicity I'm not as much of a minimalist as Dan. I carry what I need as long as my pack isn't too heavy so I'm not constrained by my list. Carrying 20 lbs of gear doesn't slow me down much and still allows me to stay nimble on my feet. 1. Shelter. This could be a quality wind breaker jacket. Preferably a waterproof and breathable fabric like GoreTex. A space blanket could also qualify for a temporary shelter but preferably something more durable like a ripstop nylon tarp. 2. Water Filter. There are plenty of different options in this category. This should be a backpacking version that can be cleaned in the field. 3. Fire Kit. My kit contains waterproof/windproof matches, a bic lighter, a ferro rod and a firestarter material. 4. Fixed blade knife. 4" - 5" made of 1095 steel 3/8" to 1/4" thick. This should be a blade capable of doing most any chore including cutting branches and splitting wood. 5. Cordage. Paracord will do fine but also consider carrying thinner cordage for more length. primarily meant for injuries more significant than small scrapes and cuts. Put your own together with just what you need in a heavy duty zip lock bag or other pouch. 7. Flashlight. A tough quality light that you know will work when you need it. Preferably this light should have various brightness settings from very low to upwards of 200 lumens. And of course carry an extra set of batteries. 8. Fishing kit. Fishing line, hooks, lures, weights, bubbles and other artificial bait. I'm not a trapper like Dan so I rely on my fishing experience to feed me. 9. Rifle. I'm a much better shot than I am skilled and patient with trapping. My weapon of choice for this task is the Ruger 10/22 takedown with about 200 rounds of hollow point .22LR. 10. Pocket knife with a 3" to 4" blade. Whereas Dan carries a razor knife I prefer a quality knife made from anything better than 440C stainless that I can sharpen in the field. This is usually my EDC knife that is always with me. 11. Diamond pocket sharpener. Choose one that works well for you. As you can see, there are many different but also similar contents to each of our kits. There are, of course, many other things you can add to your jump kit, survival kit, whatever you wanna call it kit. The point is that you should continually work on it and improve your skills and add to and take away from your kit as you see fit.